The Warsaw Uprising, led by General Tadeusz Komorowski lasted from August to October of 1944. The uprising failed for a number of reasons but it is an inspirational story about people trying to overcome the adversity of living under the Nazis by getting rid of them during World War II. The Poles had been living under Nazi rule since the invasion of Poland in 1939 and had suffered a great deal. 7 What Advantages Did the Polish Insurgents Have? Soldiers from Kolegium "A" of Kedyw on Stawki Street in Wola district. 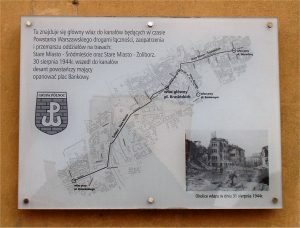 The sewer system (map) was used to move insurgents between the Old Town, Downtown (Śródmieście) and Żoliborz districts. 150,000–200,000 civilians killed, 700,000 expelled from the city. Motivated by the advance of the Russian Army, the Polish Underground Army wanted to do something about the German presence in Poland themselves. They thought that if they did something about the situation that they would get help from the Russians. So members of the Polish Home Army took the fight to the Germans, specifically they took them on at Lvov, Lublin and Vilnynus. The Russians attacked from the east and the Poles were fighting the Germans in the west and in doing so they squeezed the German forces. 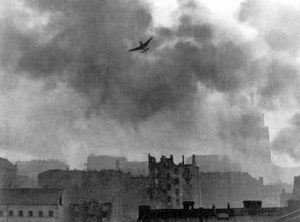 Warsaw Uprising, German Ju-87 Stuka bombing Warsaw's Śródmieście District. Seeing the success of the other units elsewhere in the county the Polish Home Army in Warsaw decided to do the same. The problem was that the conditions in Warsaw were different than in the other places and the resistance would learn this the hard way as this mistake would have dire consequences for the Warsaw Uprising. The Germans were concerned about the rapidly advancing Red Army so they turned Warsaw into a fortress, the mission of the German troops was to defend Warsaw at all costs. The leader of the uprising, General 'Bor' Komorowski chose August 1st as the start date and everything was set for his revolution to begin. He had around 40,000 soldiers but only 2,500 of them had weapons. 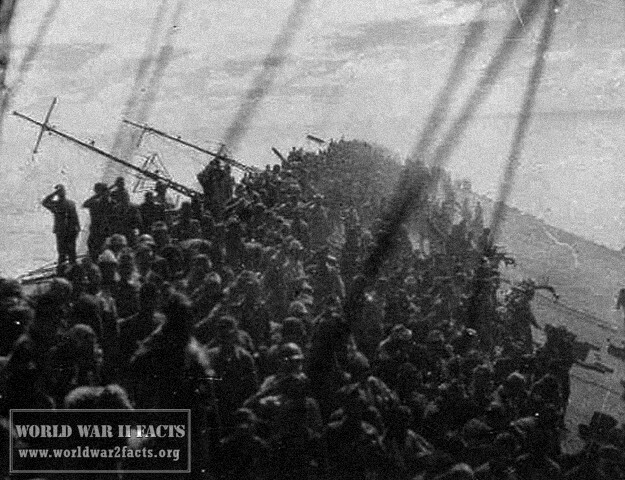 There were 15,000 German soldiers in the city but another 30,000 were near the city. On first sight it looks like both sides were evenly matched but that's not even close to reality. While the number of troops were about the same, the Germans had artillery, tanks and planes while the supporters of the Warsaw Uprising didn't even have enough weapons to go around. 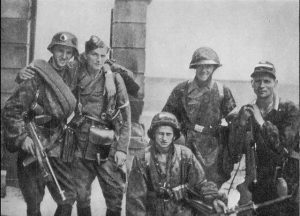 To make matters worse for the Polish Home Army, many of the German troops were battle-hardened troops from SS Panzer and Paratroop Division as well as the SS 'Viking' Panzer Division. They were near Warsaw to defend it from the Red Army should the need arise. When they found out that their task was to fight the Home Army instead they didn't feel very merciful. General Guderian had received control over the eastern German land forces from Hitler on July 12 1944. He did a lot to make the German army around the city stronger, for example he gave General Stahel of the Luftwaffe control of Warsaw. The commander of the Home Army thought that he would get support from the Russians no matter what and the Poles in Warsaw had been preparing the operation for three years. What Advantages Did the Polish Insurgents Have? Bor (which was the code name of Komorowski) did have one advantage over the Germans. His men had a goal and a dream, they wanted to drive the Germans out of Warsaw and ultimately Poland at any price. 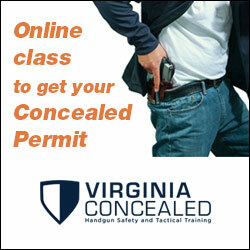 But he also had a number of weaknesses, like the weapons he had, only the most basic infantry weapons. The biggest problem weren't actually the weapons, it was the ammunition they had, or rather didn't have, they only had enough ammunition to last them 7 days of fighting. He hoped that he would capture enough of the German weapons and ammunition and that he would get support from the Allies. 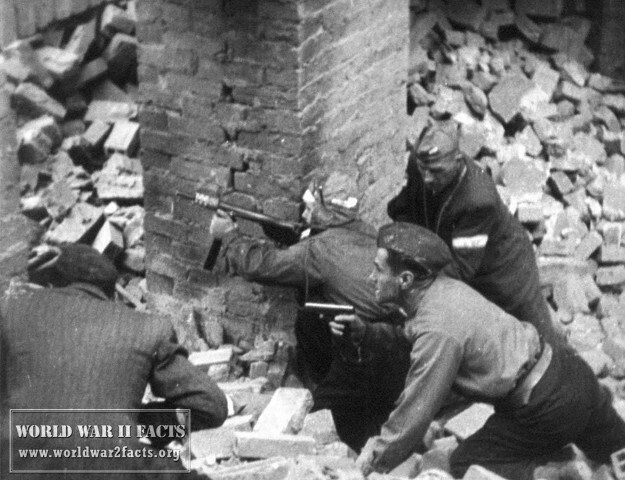 When the Poles finally organized themselves and began the Warsaw Uprising they took the Germans by surprise and managed to win the first of the fights. Despite being able to capture some weapons from the German army they were still in desperate need for ammunition. By the fifth day of the uprising the Poles had control of three areas in the city and the Germans controlled the rest. 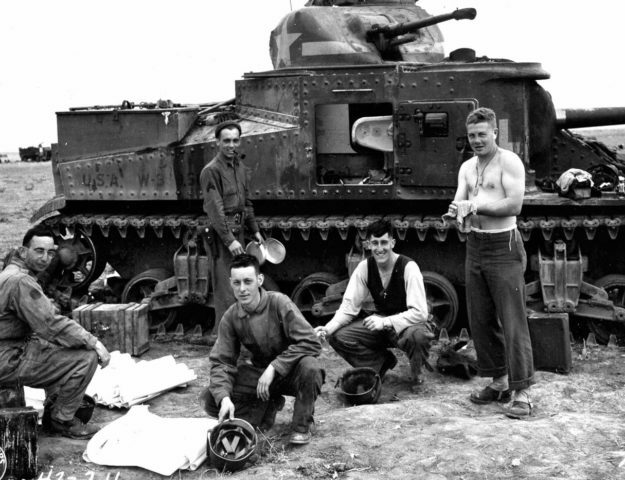 The Germans attacked the positions of the Home Army by sending in flame thrower units and Goliath tanks, a special kind of tank that exploded when detonated. Despite the success of the up spring early on, at this point they had to attack an enemy that was not only fully equipped for dealing with urban warfare but with lots of experience in it as well. 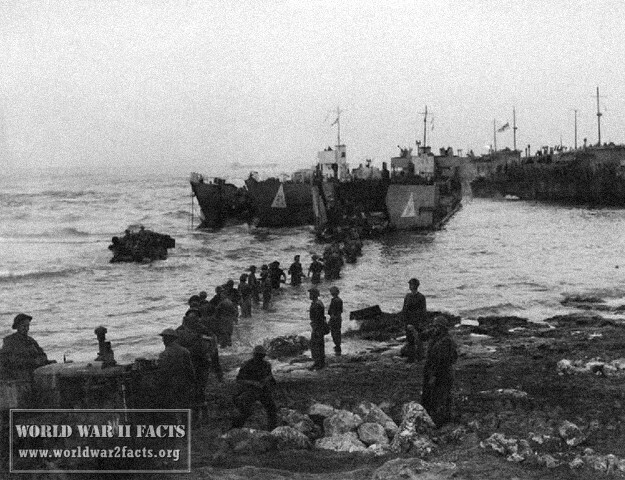 By the end of September the Home Army needed all kinds of supplies - ammunition, water and food. The Polish Red Cross negotiated with the German commander in Warsaw, Bach-Zelewski and on 2 October the Home Army had surrendered. The survivors in Warsaw were moved out of the city and the remaining buildings were destroyed. 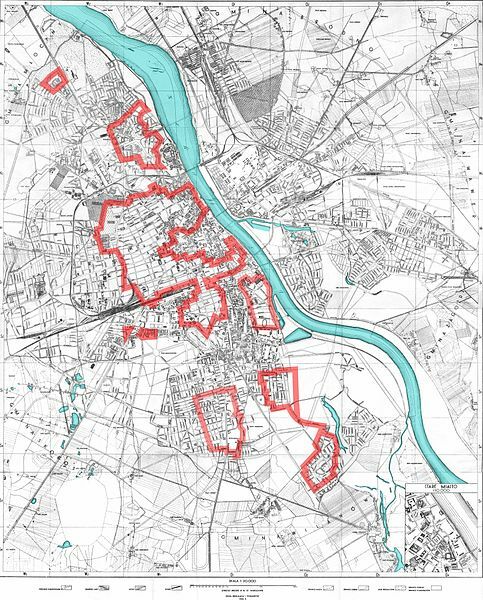 Nobody knows exactly how many casualties there were in the Warsaw Uprising, some Polish historians claim that as many as 150,000 Poles died during the uprising. Bach-Zeleski's claim was that 26,000 Germans died in the two months of the uprising.